The negative attitude in the occupied Crimea toward the Ukrainian symbolism, which was observe immediately after the annexation of the peninsula, has now reduced, according to the Crimean blogger Leonid Kuzmin. “Now such position on the Ukrainian symbolism, implying to grab, tear, destroy it, is no more observed. But anyway, it is perceived negatively by law enforcement agencies. But people are more neutral in reacting to such symbols. 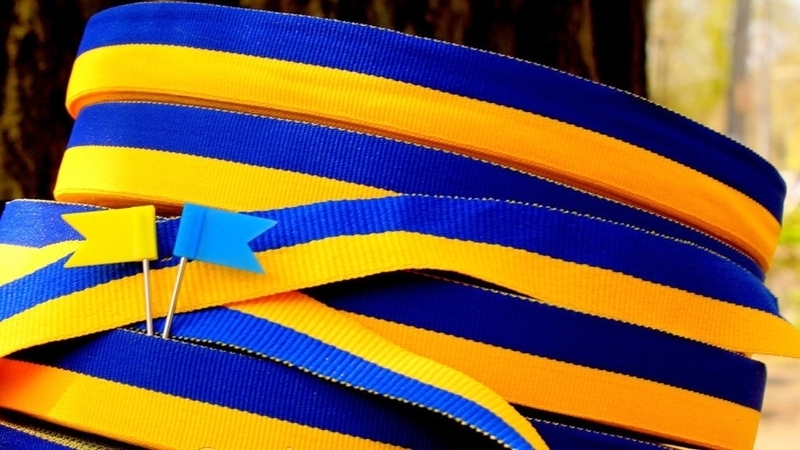 Some people started going out with a blue-and-yellow ribbon on backpacks, as well as small flags,” he noted. At the same time, the blogger stressed that "law enforcers" can detain people for Ukrainian symbols and "if the protocol is not drafted, at least some conversation is held with a person". According to Kuzmin, tension over news about Ukraine has declined among the residents of the occupied Crimea. “That is, people gradually see that nothing happens from what Russia had promised. Life continues in the same way as before the annexation of the Crimea. Nothing has changed, except the flag and currency in the wallet. Particularly, such a neutral-positive attitude towards Ukraine has been observed since 2016, it continues today. People are beginning to wonder: "And what is going on there?" He further noted that there is a part of a society in the annexed peninsula who still believes that "Russian-speakers are killed" in Ukraine. Earlier, the coordinator of the "Information Resistance" group, Dmitry Tymchuk, said that the occupied Crimea is increasingly involved in servicing Russian military adventures not only in the Donbas, but also in Syria. Thus, the President of Russia Vladimir Putin signed a decree on the transfer of the Feodosia plant "More" (Sea) to the ownership of Rostech Corporation, which manages part of the Russian military-industrial complex.